Hopefully you’ve already got Christmas all planned out, or else you’re in the process of planning. If you’re looking for ways to make 25th of December more ethical for you and your family then you’re in the right place because we have everything you need to have a fair trade Christmas. From decorations to Christmas cake and everything in between, see our favourite fair trade picks for the festive season. I’ve seen Christmas trees and decorations popping up in homes for a couple of weeks now, so it’s definitely at least time for everyone to be thinking about getting the old Christmas decorations out! 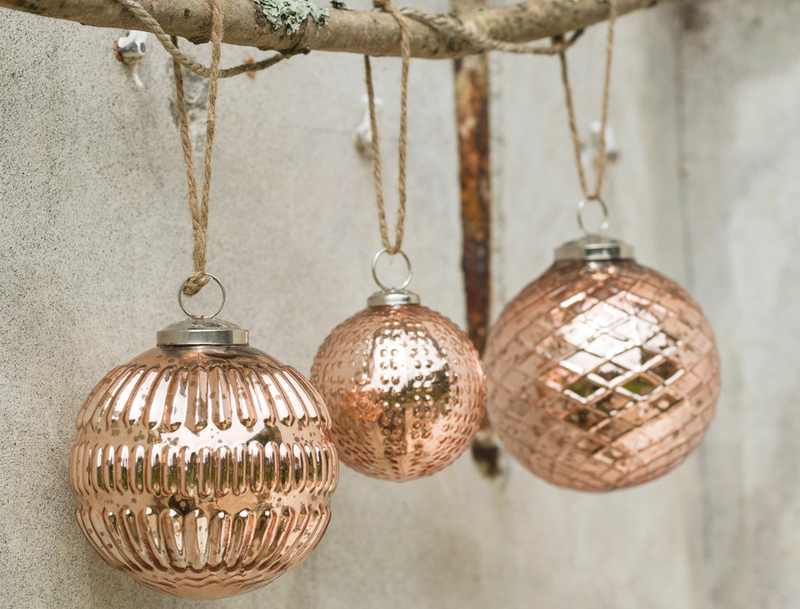 Update your collection with some gorgeous fair trade additions like the recycled wire hanging reindeer from Nkuku, or the gorgeous set of three textured antique copper baubles. We have a great range of fair trade Christmas decorations you can view here, but you better get them quick before they’re gone! My favourite part of the festive season is wrapping up presents. I’ve loved it probably since I was about ten, and I think I’m getting pretty good. One of the best things is making your gifts look so beautiful the recipient almost doesn’t want to open it! And you can do that with our fair trade, handmade gift wrap. 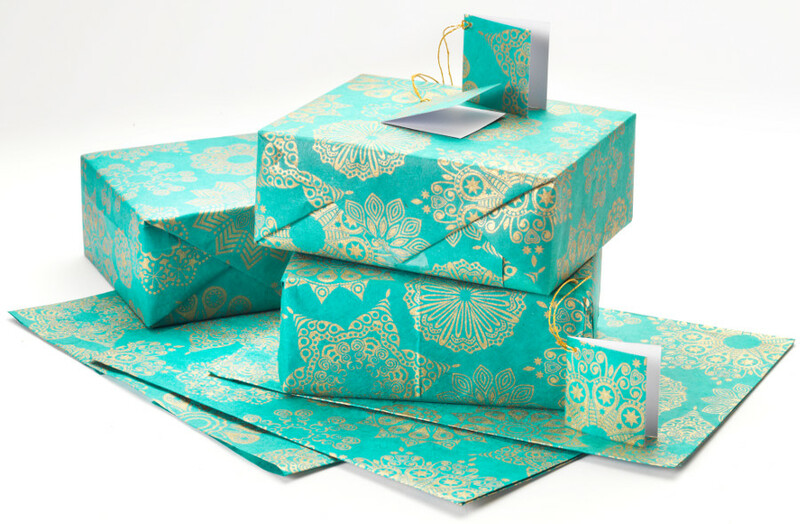 It’s available in a range of colours and styles so you can choose the perfect wrapping paper for your gifts. We’ve even got raffia ties you can use as ribbon! Christmas just isn’t Christmas without the food. I’m not just talking Christmas dinner though – the cake is where it’s at. 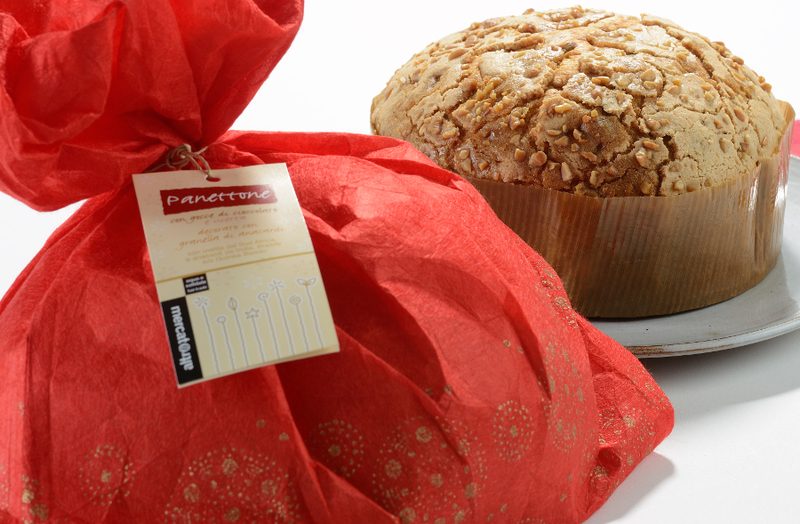 Try some fair trade Christmas cake or panettone from Traidcraft, or make your own using fairly traded ingredients! Whatever dessert you can think of, you can probably make it yourself and we’ll have the baking ingredients you need! Last but not least, the gifts. Choosing the perfect gift is either easy as pie or extremely difficult – there doesn’t seem to be any in between. You can’t really go wrong with an ethical, fair trade gift though. Buying something made by fair trade producers means you’re supporting small businesses in developing countries who need it most, making it a real feel good Christmas. From elegant jewellery to small stocking fillers, you’ll find that special gift for your loved ones this Christmas using our handy gift guides!